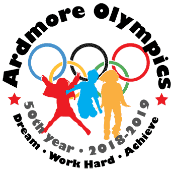 The 8th Annual Ardmore Olympics was a SUCCESS! 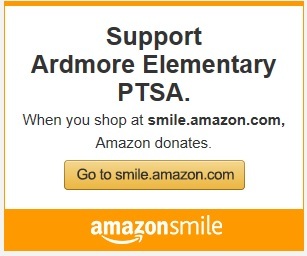 Thank you from the PTSA to all the Ardmore students, friends, and family for participating, and thank you to our volunteers and staff for helping us make it a wonderful event. We couldn't have done it without you! We still need your help to reach our $20,000 fundraising goal. Thank you for continuing to donate through September 30th. You can donate by returning donations in the provided envelopes, or by clicking the link below to pay online by credit card. Oct 5 - PTSA General Meeting Ardmore Gym, 6:00-6:20pm. PTSA members can vote on the budget for this year! PTSA Volunteer Coordinator needed to help the board address volunteer needs for different events. PTSA Director of Fundraising needed to plan and coordinate fundraising activities to meet our budget. Sammamish High School Drill Team is hosting a dance workshop for students in 1st-8th grade on Saturday, October 13th from 8:30am-Noon. The dance they learn will be performed at the varsity football game on Friday, October 19th during the evening half time showcase. Please pack a snack and water bottle. Child will gain free admission to the game, all others must pay for a ticket. Cost of workshop: $10 (Scholarships available).